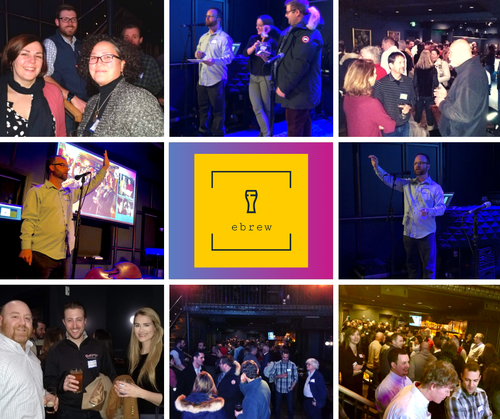 Ebrew, NH's premier creative/technical networking event, rebooted in 2019 to celebrate 20 years of tech + creative networking on the Seacoast. The casual event is a place to meet peers, share stories and opportunities, and relax after a days work. Ebrew is held on the first Wednesday of every month from 5 to 7 pm at The Press Room. These events are free and no pre-registration is required, just show up and hang out! Thank you to Market Street Talent for being the Series Sponsor of the 2019 Ebrew events and Systems Engineering for sponsoring this month's event.